Creative writing can be a topic that even the most competent students find challenging. For the children of Mr Dekkers’ Year 6 class, added motivation was provided by the introduction of “Pick a Path” stories as the format for their creative writing. For those unfamiliar with this genre, the reader is regularly presented with a choice at the bottom of a page – depending on which option they select, the outcome or ending of the story can be quite different. I shared the link with a few teachers who I knew would be interested and the timing was perfect for Mr Dekkers’ Year 6 students who were embarking on creative writing as part of an English unit. Already competent OneNote users, the student did have to figure out how they were going to hyperlink between pages in their notebooks, and with this problem solved, the writing began. To encourage his students to reflect on their writing and be as creative as possible, Mr Dekkers asked them to draw a picture of a scene or the world they were describing, or alternatively to recreate it in Minecraft. In doing so, the students could literally visualise what they were writing about. Their editing from this process was reflected in their OneNote Notebooks by highlighting changes made as a result of their picture or Minecraft world. Due to the ease of sharing NoteBooks in OneNote, students were able to read and comment on the progression of the stories and provide feedback to one another or suggest ideas for the direction of the stories. With the writing complete, the class had the opportunity to read them all and then voted for the three stories they enjoyed the most. Izzy, Hamish and Harry’s stories were chosen and I had the pleasure of hosting them in the Board Room in Strowan House for a reading of their Pick a Path stories. It was a thoroughly enjoyable experience, albeit very challenging to complete the stories successfully without coming to a gruesome end by choosing the wrong path! I do encourage you to click on the cover images on the left and read the stories yourself. This is possible because the three students shared their stories in read only mode in OneNote. The goal was not to just make something pretty in Minecraft, it was actually to improve the quality of your writing … after writing the story, the idea was to look back in Minecraft and see how you could improve the writing you had already completed. OneNote is really good because we can all go on it at the same time – we have even done debates on it! The end of the academic year is a busy time in most schools, but also a time that many teachers engage in professional development. It is no different at St Andrew’s College where three hour, small group sessions were organised for all secondary teaching staff as a refresher on eLearning. This professional development was run by Arnika Brown, an eLearning Integrator from Cyclone Computers who has previously worked with teachers in our Preparatory School. Blogs and Twitter: effective use of these in professional development. Mr Dean McKenzie and Mr Ben Hilliam presenting at the Canterbury Maths Association ICT Afternoon hosted at Canterbury University. Mr Matt Nicoll showcased the use of eLearning practice in science classes to student teachers studying at Canterbury University. He presented at the inaugural #edchatnz conference earlier this year, along with leading a breakout at a recent Christchurch educamp unconference. Matt also helped curate the month of blogging from Christchurch educators as part of Connected Educator Month 2014. Ms Tam Yuill Proctor and Mr Ben Hilliam running professional development for the English and Maths teachers at Cambridge High School later this week. Mrs Jacqueline Yoder, Mr Ben Hilliam (our two Microsoft Innovative Educations of 2015) along with Mr Matt Nicoll presented short “taster” sessions of their eLearning practices to various principals and senior leaders from the Independent Schools of New Zealand. From this, they have been invited to deliver extended professional development at Scots College in Wellington in December this year. Mr Duncan Ferguson has spoken at a number of events on using technology in music including at the NZ Music Educators Conference in Auckland and at an NZQA Best Practice in Music workshop in Christchurch. A selection of staff provided an overview of eLearning in their classes to the visiting CORE Education eFellows of 2014 earlier this year. It is excellent to see teachers from St Andrew’s College being invited to share their expertise and experience with the wider teaching community, as it highlights the value our own students are receiving in their tuition. As well as requests to speak at events, the College has hosted numerous staff from other schools on visits to see eLearning in action in our classrooms. To build on this momentum, St Andrew’s has created a new position starting in 2015 called eLearning Integrator. This role will focus on supporting innovative and best practice in eLearning amongst our teachers and I am confident this will lead to even more teachers being asked to speak at future events. In part one of this two part post, I highlighted the various strengths of both Moodle and OneNote and in part two I aim to highlight the relative weaknesses of them as standalone Learning Management Systems (LMS). By doing this, it should become apparent that the two successfully complement each other and provide a compelling feature set when used in tandem. Because it is essentially a browser based website, there are some things that are much harder to do compared to a desktop application. The recording and sharing of video and audio content would be an example of this. There is a considerable learning curve in understanding how the numerous menu items work – this has definitely been a turn off for some less confident staff. The potential for “the scroll of death.” Where teachers do not “hide” content, front pages of courses can often need excessive scrolling to find content. Aside from Forums (and some third party Wiki plugins) there is no easy way for students to collaboratively share ideas on a page, or to handwrite directly into any content section. There is no ability to easily run assessment with cut off dates. The teacher would be required to manually lock or hide content sections at the end of an assessment to prevent students changing their answers. Similarly, there is no way to prevent students from modifying others’ contributions. Whilst author tracking provides some level of visibility on this, it is time consuming to work through. UPDATE: A few readers have pointed out to me that if you are using the Class NoteBook Creator Tool then each student can have their own private space that only the teacher and the individual student can edit. This is correct and very useful. My original intention was to point out that in a collaborative space, where all students can contribute and see each other’s comments and work, there is no way currently to prevent them from modifying the work of another student. There is no reporting at all – no way for a teacher to tell how many times a student has clicked on a particular link or viewed a particular page. Students need to be manually invited / deleted from a OneNote Notebook (not a massive task, but automatic enrolment into Moodle is a strength of the platform). The disparate feature set across platforms. The Windows client application is by far the best, with functionality reducing on a Mac and iOS devices, and then even more so in the browser based OneNote Online. The inability to embed content. Third party content must be linked to only, requiring students to leave OneNote to view this content. SO WHAT IS THE SOLUTION THEN? Documentary Repository – uploading all content that students may need access to both in class and at home. This would include any Powerpoint presentations, digital “handouts” in PDF or Word formats, as well as links to third party websites and embedded video content. With the built in Moodle reporting engine, I can tell exactly which students have viewed this content and how many times. Assessment – this is Moodle’s real strength as there are numerous ways to securely collect assignments, manage quizzes and obtain original student work via forums. Results can be exported as an Excel document directly from the Moodle mark book for importing into the College Student Management System (SMS) if needed. Revision activities – where students need to practice assessment, be it rote learning with real time marking of key word knowledge, student collaboration on model answers or simply a record of learning progression over the year. Self directed learning – Moodle excels in allowing activities to be made available to students at their pace of learning, with criteria easily set meaning students progress when they have completed the necessary work to a defined standard. The incredible ease with which OneNote notebooks can be shared through a simple email invite. Student class notes – OneNote performs superbly as a digital substitute for the traditional exercise book or ring binder folder for students. They can easily type or write notes directly into pages, annotate with images or audio recordings, and drag their notes around into any layout that makes sense to them. Collaborative work – in both formal and informal contexts, the idea of a “blank canvas” for students to work in is reality with OneNote. When configured with correct sharing it is simple for students to collaboratively build notes, ideas and frameworks together. Shared ePortfolio with teachers or parents – again, because of the simple sharing permissions it is very easy to use OneNote as a personalised ePortfolio of work that a teacher or parent can view at any time. Electronic whiteboard equivalent – if a teacher has configured a shared Class OneNote NoteBook, then they could do all traditional whiteboard notes directly into this, meaning students have a copy of everything that was “written on the board” by the teacher in the lesson (see this blog post as an example of this in action). As standalone products, both Moodle and Microsoft OneNote perform many of the functions of a traditional Learning Management System, albeit with some significant caveats. In the end, it is likely to come down to how schools see the role of technology in eLearning looking for both teachers and students. If schools want students completing assessment online (as NZQA continues to work towards themselves) then having an assessment engine like the one in Moodle will be critical. Alternatively, if the vision is simply for students to be recording notes electronically and sharing them with teachers and parents, OneNote functions incredibly well in this area. Ideally, as our teachers and students become more confident in both platforms, they will transition seamlessly between them, choosing the best functions of each to achieve the maximum opportunities for successful learning outcomes. St Andrew’s College is a school that is committed to delivering first class technology to students and staff to use in supporting their teaching and learning practices. In 2012 Moodle was introduced as the first real Learning Management System the College had used, replacing an ageing and feature-limited version of Microsoft Sharepoint. In 2013, thanks to the introduction of cloud based synchronisation via SkyDrive (now called OneDrive), Microsoft OneNote became increasingly popular amongst teachers as a tool for delivering class notes and collecting student feedback. Since then, many teachers have variously tried both Moodle and OneNote interchangeably, sometimes abandoning one in favour of the other or struggling to identify when to use the most appropriate tool. Through various discussions, I have picked up a distinct pattern of thought that suggests most teachers believe they must use exclusively either Moodle or OneNote, but rarely did any teachers describe a workflow that included both. It is free and easy to install for immediate use. Furthermore, it was designed from the ground up for educational use. As an Open Source product, you are free to customise it in any way you choose to meet the needs of your school or students (admittedly, this does require some coding ability). There is a huge amount of third party plugins written for Moodle, rounding out the feature set to meet the needs of most schools. 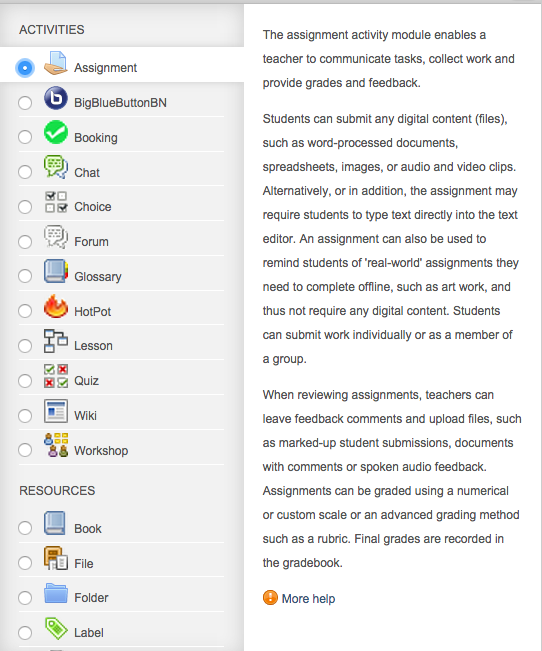 Assignments: it easily handles the setting of various different assignment types, automatic cut off at due dates, electronic marking using rubrics and other scales, and feedback to students. Forums: multiple forum styles that allow for online discussion and sharing, with no chance of student interference of other’s comments. Resources: since mid-2013, teachers have been able to drag’n’drop most file types for uploading into Moodle courses, streamlining the building of quality courses. Quizzes a robust and flexible quiz engine allowing for individualised, self-paced learning and feedback. Reporting: teachers can easily see which students have viewed a resource, contributed to a discussion or completed an assignment or quiz. This massively reduces the management of checking student work. Embedding of third party content: You can easily embed third party video, audio, animation content directly into your courses meaning your students do not need to simply follow links to websites. Automatic enrolment: students can be automatically enrolled into courses based off a third party database or directory groups. End of course / year rollover: Teachers can easily “reset” a course at the end of a year or semester, removing assignment submissions, forum comments and other student data, readying it for the next class they teach. There are many other features that could be listed here, but this is a number that relate to specific usage at St Andrew’s College. In New Zealand, the Ministry of Education agreement with Microsoft makes the Office Suite available to most students in New Zealand schools. It is part of the Microsoft Office Suite, so is immediately reasonably familiar in the look and feel when compared with Word, Excel or PowerPoint for example, reducing the learning curve for teachers and students. The default layout is very similar to a traditional tabbed ring binder folder – there is a visual connection as an electronic ring binder that is familiar with most people. The ability to drag and drop images, documents and text into the NoteBooks is very intuitive. 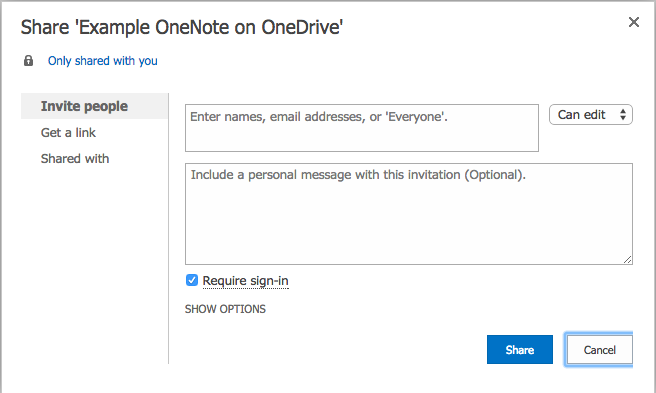 It can now be shared easily via OneDrive with other OneNote users. The desktop application is very feature rich: for example video and audio can be recorded directly into a NoteBook. There is an online, browser based version called OneNote Online which can be shared as read-only to create an ePortfolio style document. The recently added Class NoteBook Creator Tool makes it very easy for a classroom teacher to setup all students in a class to share a single NoteBook. Inking: when run on tablet or supported touch devices, handwriting can be used directly into OneNote NoteBooks – good examples would be the Surface Pro 3 tablet. A teacher can have “real time” access into a student folder at any time they choose, compared with having to physically collect in work books to see a student’s progress. Microsoft seems to have a growing focus on education and they are becoming increasingly responsive to feedback and feature requests, resulting in the OneNote product becoming available on more platforms (iOS and Android for example). Evidently then, both Moodle and OneNote offer incredible features for teachers and students alike, making it immediately obvious why schools and educational institutions all over the world are using them. In the next blog post I will discuss some of the drawbacks with each product when used in isolation and in doing so, highlight where they can complement each other when used together. Every Thursday lunchtime throughout Term 4 I have been running lunchtime professional development for our teaching staff. I’ve been pleased with the uptake from the teachers, who can book a place in the lunchtime sessions via Moodle using the Booking module we have installed. The new OneNote Class Notebook Creator tool which many teachers have wanted to learn more about. Using Office Mix to record lessons or explanations on critical concepts for students. Using Moodle Forums to assist students with revision for examinations. In this blog I am going to cover a neat feature of Office Mix – the ability to upload a Mix to Microsoft’s platform, and how permissions can be managed to control the visibility of the content. I have blogged about using Office Mix as a digital whiteboard already and how the ability to narrate ideas and concepts is helping some of our teachers flip the classroom, like Mr Kevin Barron. The Office Mix add-in for PowerPoint is a new way to tell your story with voice, video, inking, screen recording and interactive magic. Record: This feature will load up whatever Powerpoint presentation you have open, and allow you to narrate and annotate via “inking” each slide as you progress through the deck. Screen Recording: when this is selected Mix will return the user to whatever application they were last in before going to PowerPoint and allow you to start recording everything on your screen even if you change between applications. However, there have been limited options in the Windows environment, and certainly no great ones for free. Office Mix does change this by allowing staff and students to easily record and share screencasts. The icing on the cake is the built in ability to upload directly to the web for sharing of the recorded Mix, without the need to publish to a third party video platform such as YouTube or Vimeo. Public: Anyone can search and view the Mix. The only downside with the above is that if you want to embed your Mix into your Moodle class site then the sharing settings must be set to either Unlisted or Public. In this Mix, she recorded it on a Surface Pro 3 as part of the trial group we have going at St Andrew’s College and used the inking features to highlight different points as she went through them. The initial feedback from her students is that it was really helpful to have this visual and aural guidance especially from their own teacher and not just a random clip off YouTube. It is really pleasing to see our teachers attending professional development sessions and then giving it a go and implementing new technologies that will benefit the learning outcomes for our students. As most teachers will confirm, it’s not always easy to record and publish your teaching moments for others to replay again and again and yet it is precisely this type of resource that can help cement student understanding of complex ideas. I am encouraging our teachers to embed their Mix recordings into their Moodle class sites as well, since this will allow them to use the reporting tools within Moodle to see precisely which students have actually watched the clip, and how many times. Recording how to change certain network settings in Windows 7 or 8 to improve wireless performance. UPDATE: Darrell Webster, an Office365 & Microsoft MVP, suggested some other useful ideas for recorded Office Mix by teachers: to record an overview of the course or promote an upcoming assessment or project. Excellent idea! 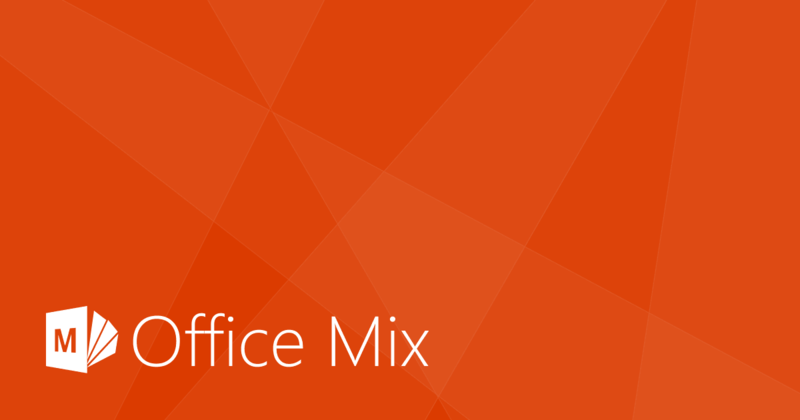 Darrell has also recorded a good introductory overview to Office Mix that you can see here. I am excited to see which directions our teachers will take this functionality in 2015 and I know that many of them will also encourage their students to use it as well. With changes to English standards, students no longer need to stand in front of their peers to deliver a speech – they could record a presentation like this using Office Mix for assessment instead. Finally, as useful a tool as Office Mix is, it is clearly no substitute for the teacher. If anything, it reaffirms the central role the teacher plays in guiding students and assisting with the clear explanation of complex ideas. Many eLearning tools allow students to listen and watch again a key learning moment from the teacher and in the end, this must help with knowledge building. In 2013 the Junior Department teachers at St Andrew’s College decided to trial a number of iPads in their classes of students (Years 1-3). The initial motivation was to trial some 21st century technology in their classrooms and to also ensure that as teachers, they were keeping up to date with changes in classroom teaching tools and practice. I met with Mrs Jane Egden (who was also involved in our first ever Mystery Skype) to see how this initial trial has progressed and learn how the iPads have been used with students. As most of the teachers in the Junior Department had used Apple devices previously, they felt they would be a great product for the students given their intuitive interface and wide range of apps that could be installed to support learning outcomes. The initial trial saw each teacher given an iPad with three “floating iPads” that could be shared amongst the classes in the Junior Department. Teachers were initially managing the installation of apps onto the iPads themselves, experimenting with free apps and purchasing the occasional paid app too. It was quickly apparent that this was time consuming and frustrating as there was no consistency of apps across the iPads. In my role as Director of ICT, I suggested to the teachers that if the fleet of iPads was going to grow beyond the 10 being trialled, that it would be preferable to use a centralised management system to deploy apps. In 2014 another 10 iPads were purchased and I decided at this point to explore the JAMF Casper Suite for managing Apple devices. With limited in house experience in centrally managing Apple devices, the College partnered with Cyclone Computers to assist in this area and we settled on a hosted solution of the Casper Suite which would allow us to easily configure and deploy identical apps and settings onto all the iPads in the Junior Department. Whilst there were some initial technical problems with the deployment of Casper and configuration of the iPads, the benefits of being able to easily deploy an app across all 20 iPads by pushing them out wirelessly is tremendous. This has completely removed the time and effort from the individual teachers, allowing them to focus on how to use the iPads to support learning outcomes. The main curriculum areas the iPads are being used in are numeracy and literacy based activities, with apps support reading and maths. 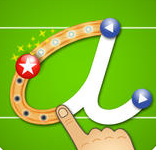 A new app that has been purchased and added to the 20 iPads to support handwriting skills is called Letter School. Outside of apps, the students will occasionally use the iPads for research on the internet (content filtered via our Fortigate 600c UTM firewall), and taking videos of students reading for teacher records of progress. 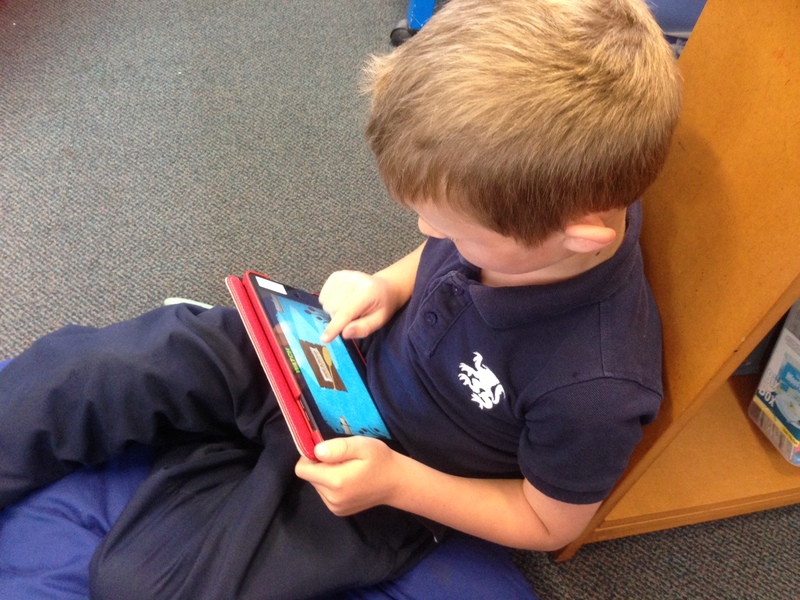 The response from students to the iPads in their classes has been very positive. Mrs Egden said that there was virtually no instruction required on how to actually use the iPads themselves as most of the children had used them before at home. They have been very good at sharing the iPads responsibly and also being accountable for their actions on them. Self management skills are required to ensure the iPads are returned to where they are stored so they can be charged for other users as well. Interestingly, the teachers do not offer the use of the iPads as a treat for good behaviour, but instead they are used as a regular part of the teaching practice. Whilst many students bring their own MacBook in the Secondary School, St Andrew’s does not have College owned or managed Apple products in any other area of the school, apart from these iPads in the Junior Department. Consequently there has been a learning curve to understand how best to manage and deploy these for use in the classroom. With the Casper Suite in place, we can easily add additional iPads to the fleet with exactly the same settings and apps on them. Mystery Skype is an educational game, invented by teachers, played by two classrooms on Skype. The aim of the game is to guess the location of the other classroom by asking each other questions. 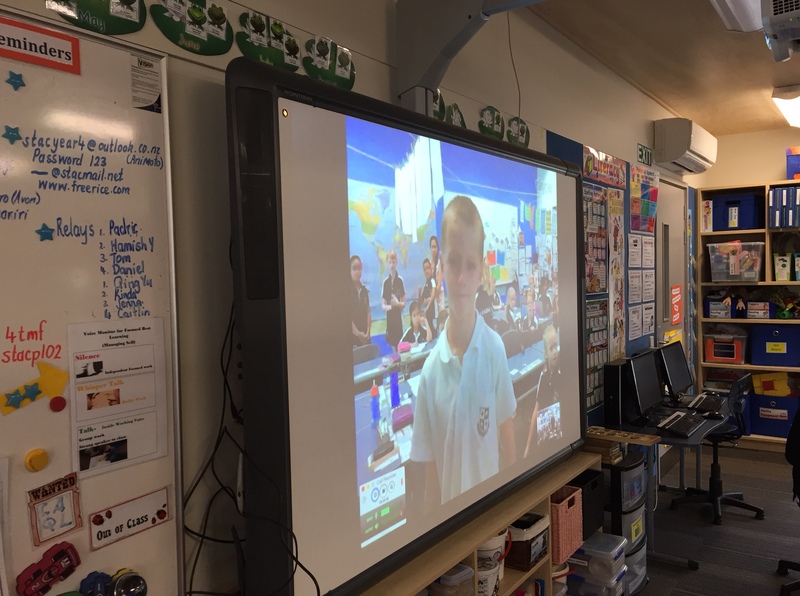 This Mystery Skype was again with Avondale Grammar in Singapore, but with different classes, neither sets of students knew where in the world the other class was. It was terrific seeing the students asking intelligent questions, using atlases, globes and trusty Google to try and locate where the other school was. I was impressed with the students from St Andrew’s asking questions such as “Are you an island?” and also picking up clues such as the names on the school uniforms of the students from Avondale. Year 4 students from St Andrew’s deliver a passionate haka over Skype to students in Singapore. Mr Craig Kemp, the teacher at Avondale Grammar that helped co-ordinate the Mystery Skype was really impressed with the haka from our students, sending out a tweet with a photo of how it looked via Skype from their end. Year 4 students from St Andrew’s College and Avondale Grammar exchange kapa haka performances via Skype. I was really thrilled to see this “re-connect” between the two classrooms as it builds on the connection established via the original Mystery Skype and allows both classes to share cultural performances they have been practicing, in this case, kapa haka. It’s awesome to see that New Zealand teachers around the world are taking aspects of tikanga Māori with them into their classrooms and sharing it with their students. It’s incredible that technology such as Skype allows this sort of cultural exchange to take place so easily and I am pleased that teachers like Mr Kemp from Avondale Grammar in Singapore, and our own Year 4 teachers Mrs Penny Munro-Foster and Mrs Anneke Kamo are open to making these sorts of connections. Mr Kemp noted at the end of the performances that former All Black rugby captain Tana Umaga was coming to visit the school only an hour after the Skype session and this was a great warm up for his students who were going to perform the haka for Tana. This connection creates an awesome example for other classes at St Andrew’s College to take up the challenge and try Mystery Skyping for themselves!